So, just how satanic are Salman Rushdie's agent's verses? 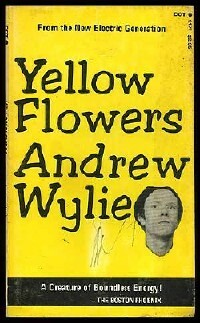 Ira Silverberg, who owns the 1972 chapbook of Wylie's stylings that was mentioned here yesterday, was kind enough to share some of them, but first he wanted to make one thing very clear: "I'm a huge fan of Andrew ... Nobody gets that he's one of the least pretentious people in the biz." Well, these poems are certainly unpretentious. They barely pretend to be poems! A selection, including the possibly prophetic "I've (#1)," is after the jump.